Get a tall glass, fill it with lime juice and mix in 2 teaspoons of sugar. 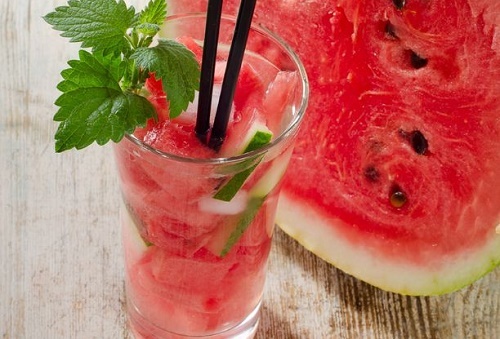 Throw in ice, two chunks of watermelon, a few mint leaves and white rum. Fill the rest of the glass with ginger ale. Even the simplest watermelon recipes delight and refresh – just on the strength of watermelon that they contain. The very sight of the fruit usually cheers people up. Try a different refreshing idea each day.